Salted chocolate is produced in different countries, например американская компания Salazon выпускает темный шоколад с морской солью – Salazon Salted Chocolate Bars, depicted on the packaging of chocolate extract salt workers. 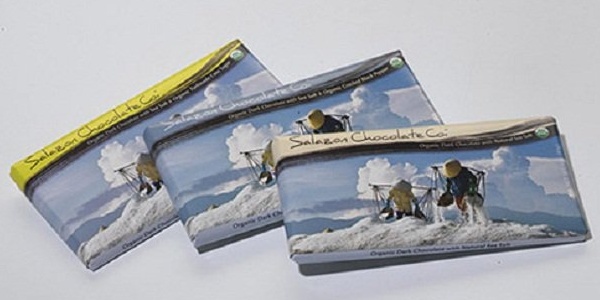 Salty Chocolate Salazon Salted Chocolate Bars produce small batches, and its composition of sea salt brought from the fields in South America. 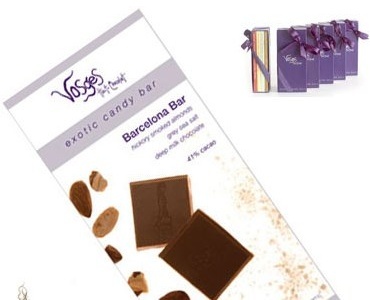 Another U.S. company – Vosges also produces chocolate salty, adding milk chocolate almonds and smoked sea salt grains. The taste of chocolate salty many people seem very unusual, because the salt in this chocolate is completely dissolved and comes in small pieces. The combination of sweet and salty taste salty chocolate gives a unique piquancy.